Cut up the chicken and put it in a frying pan with a little oil. I seasoned it with pepper, salt, turmeric, garlic powder, chili powder, cajun seasoning and lime juice, but feel free to season it however you like. 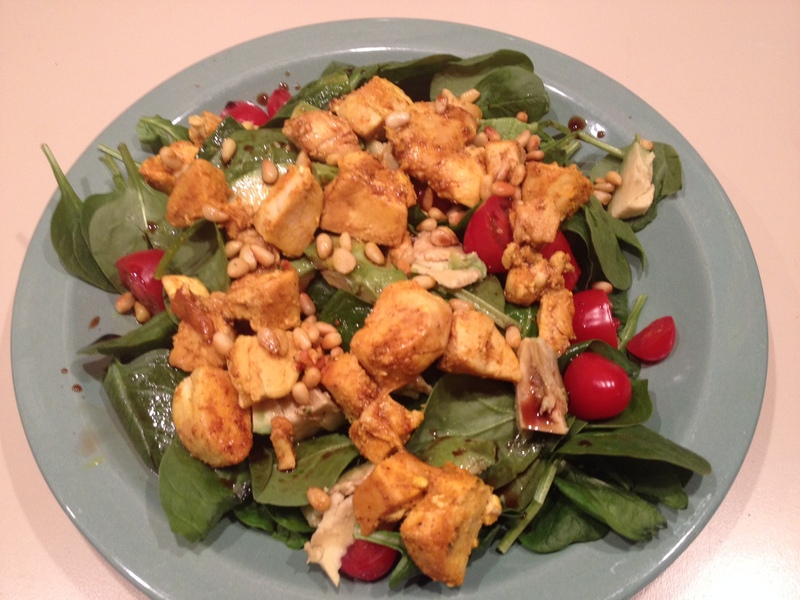 Drizzle with balsamic vinegar and enjoy!